Returning to My Family Farm is About More Than Succession. It’s About Story. 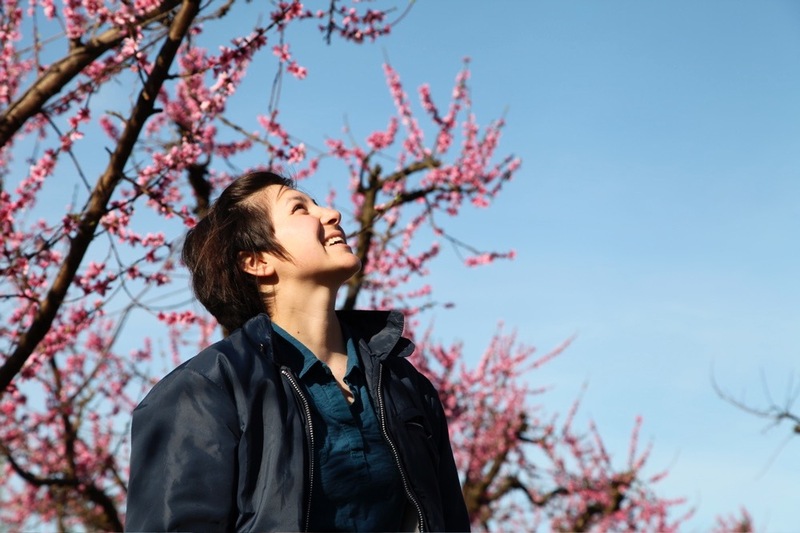 Peach farmer Nikiko Masumoto shares her vision for a more just and equitable future of farming, which is connected deeply to her ancestral past. In 1948, my jiichan (grandfather), Takashi Joe Masumoto, bought the first 40 acres of the Masumoto Family Farm. 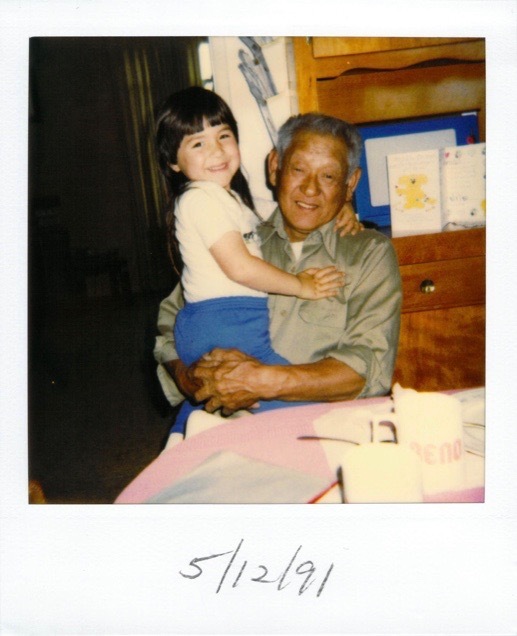 It was only three years after my entire Japanese-American family had left the Gila River War Relocation Center in Arizona to go back to California, back to the Central Valley. And my jiichan decided that he was going to literally plant roots in a country that did not want him. My jiichan was not a bitter man, though I know he experienced rage and anger; he was also a joyous and quiet man. I don’t think he ever verbally said “I love you” to me, but I felt it every day through the peaches that he grew. I lived with my grandparents during the first couple of years I spent working full-time on the farm. Every day, I came in from the fields tired and covered with dust. My jiichan, then in his 80s, would smile as I came in the door and we would join hands for a moment. That is just part of the ancestral story of our farm. Today, my father and I work together to grow organic peaches, nectarines, and grapes on 80 acres. My familial portal into farming gestures to the fact that no land is devoid of story. We would be wise to listen to the stories of those who are erased, made invisible, or live and work in the margins. When you think about farming through story, you begin to think about the conversation that began before you were here. I can’t conceptualize my life on our farm with my family without a sense of story. I did not become a farmer because I wanted to be wealthy, or because I had ambitions for fame. I became a farmer because I felt a deep calling toward home—a calling to give my most radical self to a single place. I’m often asked what it feels like to be a woman in a field dominated by men (roughly 86 percent of farmers). Similarly, people ask, “What’s it like being queer in the Central Valley?” And, in truth, it’s not easy. In fact, stepping out into the world in my farm clothes and dusty shoes feels a like a small, badass act every day. I had an unusual entry into farming. Studying Gender and Women’s Studies at U.C. Berkeley gave me the tools to see how power structures and ideologies encircle my life. And it prompted me to ask important questions about other people’s experiences. Feminism offers core questions that must be answered if we’re going to change the food and farming world for the better, questions such as: How is power functioning? Who is benefiting? Who is left out? Who is making decisions for whom? One of my wishes for the future of farming is that we would eventually be able to see and name inequities and biases. Any movement or work toward a better food future must place working against xenophobia and racism at its core. Asking about, including, and making room for people of color and immigrants to lead cannot be an afterthought. We will destroy the future of California agriculture if we do not shift these questions to the core of our work. But seeing and naming problems alone is inadequate, too. We must engage with each other and actually change how we interact, how we structure resources and who is given power. Changing how we interact with one another begins with self-observation: What assumptions do I bring with me, what are my barriers to listening? On our farm, constant energy is put into considering how we approach communicating with the employees. This means on-going study of language and culture. Many of our workers are most comfortable speaking in Spanish, and so we do our part to study not only vocabulary, but also understand the cultural frames and concepts that are important to support our ability to work together. There is no simple list of things to do; it’s ongoing work. We are also experimenting with different models of structuring our farm work, bringing more voices into decision-making processes. I have found that difficult conversations and disagreements are served well when two people have seen each other sweat and respect the effort each puts into their work. In many contexts, I might use words like “progressive” to describe myself, but that term is less important to me than actual conversation. My father, with whom I work every day, likes to use the term “sweat equity” to describe this approach to social change. When we witness each other working, enduring similar work conditions like the dusty fields and the relentless heat of summer—though there are still important and distinguishing structures, privileges, and powers—the fact that we are witnessing each other’s work creates a shared respect. This can become the foundation for conversations about change, policy, and other things more contentious. California’s Central Valley is prime real estate for sweat equity activism. My life depends on this work. I’ve staked my future on the bet that we will be able to “right the ship” and build enough shared purpose to see equity as essential to the future of food and farming. The reality for most farmers (of all scales) is that the margins of profit we work for are small compared to other industries. I’ve half-joked that if we had to pitch a business plan for our family farm to the judges on “Shark Tank,” no one would invest. Yet, food is one of the essential parts of life. As the average age of the American farmer hovers around 60, many in the sustainable agriculture community are worried about the future of farming. 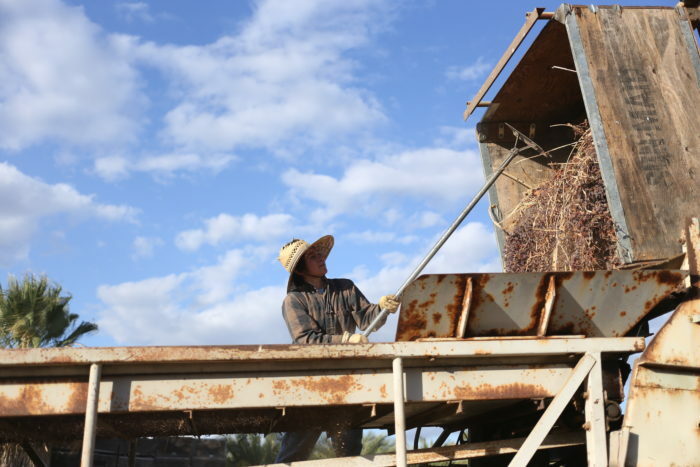 These conversations are primarily framed through questions of how to support the next generation of farmers facing inaccessible land prices, changing climatic conditions, and an increasingly difficult market for mid- and small-scale operations to succeed. “Farm succession” is on everyone’s tongues. The problem with “succession” is its singular linearity, however. Succession implies that farm ownership only moves in one direction and erases the context of land and people. While I do plan to succeed my father at this work when he is no longer farming, it won’t be my land alone. And so the question I ask myself is: What is the verse that I want to offer to the ancestral story of this place? This is the question I whisper to myself as I get out of bed, exhausted at 4 a.m., and the day’s high temperature is supposed to soar into triple digits; this question compels me to work toward a higher purpose. It shakes me from my ego and points me toward the story of place. With my jiichan’s shovel in my hand, I know I am not working alone, and my vision of the future is about so much more than just my one life. My verse has not fully come into view yet, but I know it is feminist, it is fierce, and it will help us bend toward justice. Based on comments given during a panel discussion on farm succession hosted by the Center for Urban Education about Sustainable Agriculture (CUESA). Top photo by Gosia Wosniacka. The wonderful folks at Mt. Shasta General Produce, years ago turned my family on to your peaches. Just enjoying them every year you can taste the love . Thank You for all the hard work! Beautiful essay and work! Life is relationship - to each other, the land, and all beings. Being aware of our inter-relatedness is key in making the shift in rebalancing individualism and collectivism in the American psyche.